Longer days and the hope of warmer temperatures have set in and grilling season has begun! I could think of a new burger every week. Gone are the days of burgers with lettuce and tomato. Thank goodness. This is a big title for a burger that is big on taste! 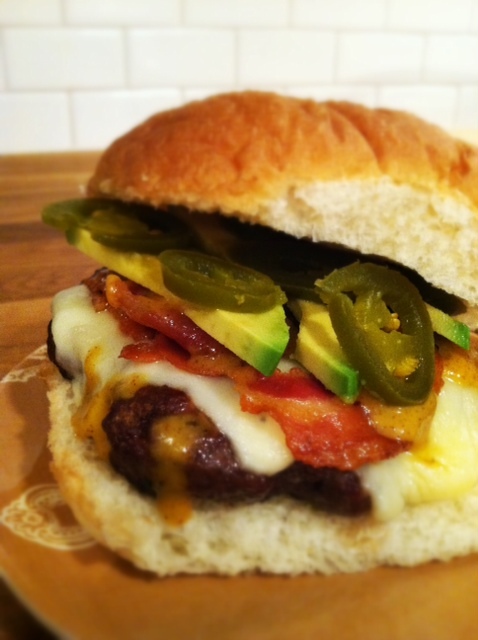 Monterrey Jack cheese, crispy pancetta, jalapenos, cool avocado and spicy Yazoo beer mustard make this burger just as unique as it is delicious. 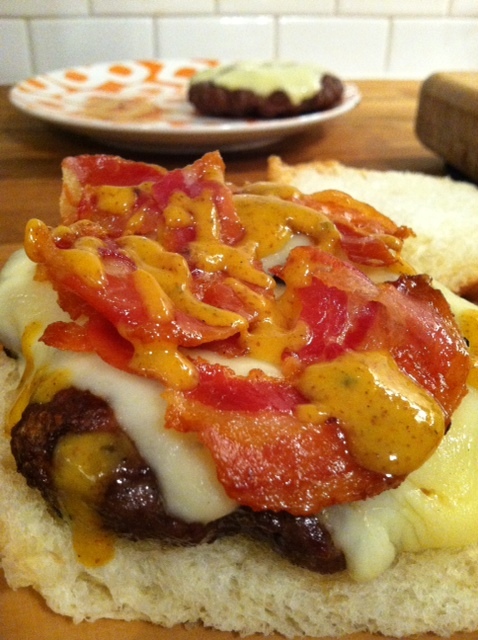 After the burgers are mixed up and while the pancetta is cooking, make the beer mustard. I used Hop Project this time but you could use any beer you like, just make sure it is a beer you like because you are going to need to drink it. 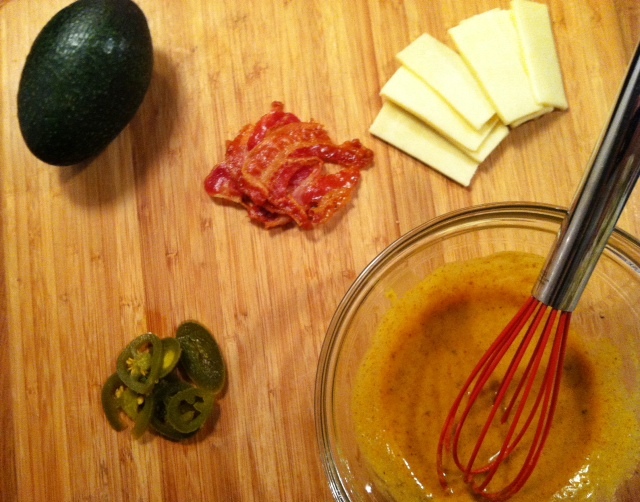 Then layer avocado and jalapeno. 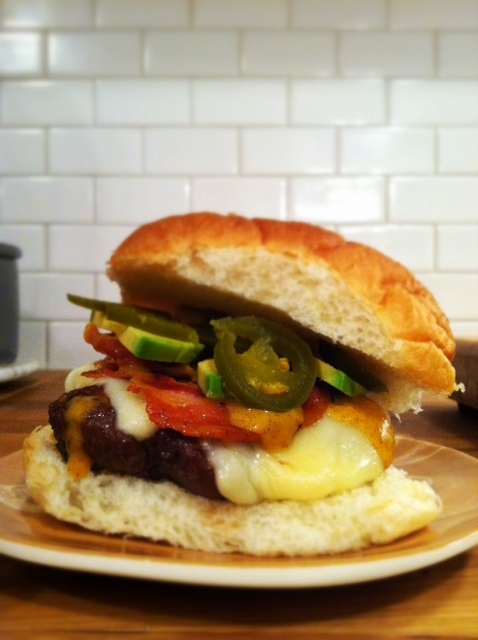 I used pickled jalapenos because I like them but you could use fresh if you prefer. heat oven to 400 degrees. line pancetta on a parchment lined baking sheet and bake for around 6 minutes, depending on thickness. pancetta should be crisp like bacon. be careful not to burn. remove from oven and drain on a paper towel. 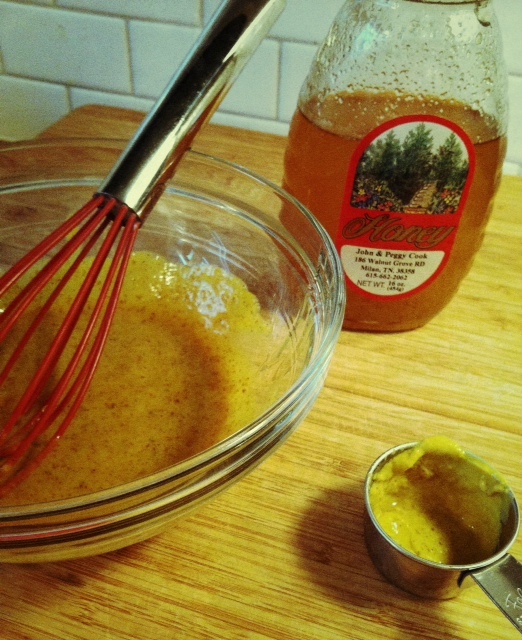 in a small bowl, combine yellow mustard, brown mustard, honey and beer. season with salt and pepper to taste. set aside. grill hamburgers to desired “doneness”. 5-7 minutes per side, preferably. turn off grill and top with cheese, closing grill for one minute so cheese will melt.